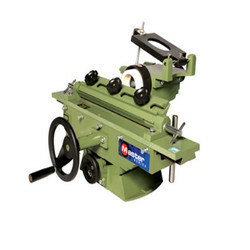 Pioneers in the industry, we offer blade grinders j-235-c, blade grinders j-235, blade grinders j-124, auto bandsaw blade grinder and multi grinder premium auto cool (ui-pac) from India. 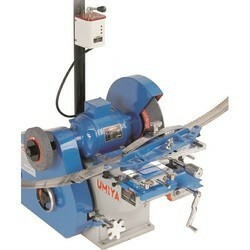 Grinding process by handwheel is so smooth dua to gear type design. Max. 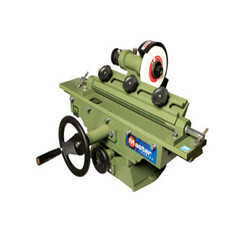 grinding capacity 330 / 13" 610 / 24"
Grinding wheel Diameter 100 / 4" 100 / 4"
Grinding wheel Diameter 150 / 6 " 150 / 6 "
Grinding process is saw basic and easy by moving top slide. Max. 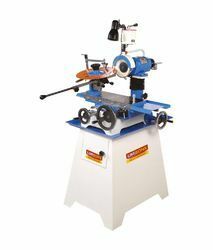 grinding capacity 455 / 18"
Grinding wheel Diameter 150 / 6 "
We provide Auto Bandsaw Blade Grinder to our clients. 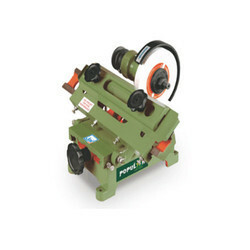 We provide Multi Grinder Premium Auto Cool (UI-PAC) to our clients.